What happens with medications when they go home? What do people do with medications once they enter the home? Surprisingly, limited research has attempted to answer that question. Yet, it is important – most medications are consumed at home under the control of the consumer. Prescription medicines are regulated, but once prescribed and collected, they are presumed to be taken as directed. People also can access and use a wide range of over-the-counter medications (e.g., for pain relief), alternative medications (e.g., homeopathic preparations), and other health-related preparations that are less obviously medications (e.g., dietary supplements, probiotic drinks). However, we should note that access to all forms of medication can vary considerably between countries. Medications of all kinds are complex social objects and it is a mistake to consider them simply as medical technologies, effective for curing or palliating medical conditions when taken as advised. Medicines have widely varying dose-response effectiveness. Some (e.g., paracetamol) have a wide therapeutic index (i.e., are readily tolerated across a wide range of dosages), while others (e.g., levothyroxine), have a narrow therapeutic index (i.e., small differences in dose may lead to serious therapeutic failures and/or serious adverse reactions). Also, all medications have side effects of some kind, some minor and unnoticed by most users, others more major and potentially serious. 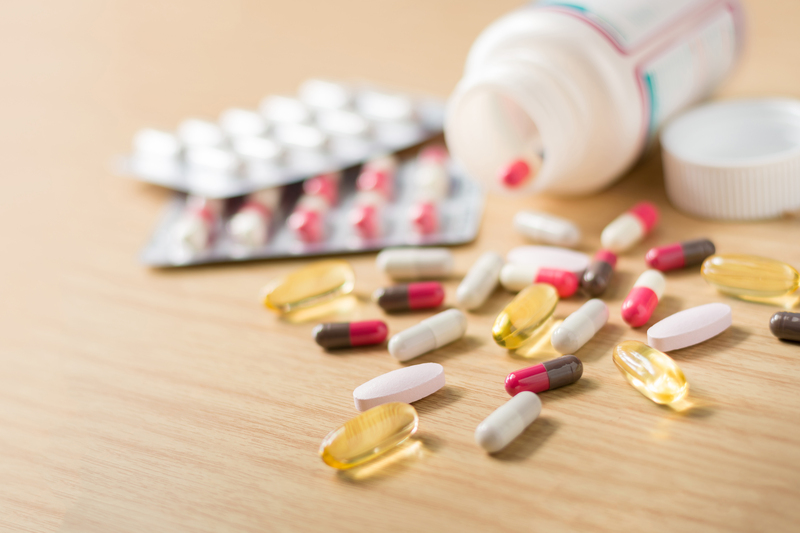 While medications can have varying effects, people themselves also differ considerably in their tolerance for medications, and tolerances can change over time with repeated consumption of the drug. We have substantial evidence that only about half of prescription medications are taken as directed. This occurs for a variety of reasons, including experience of side-effects, concerns about dependence, beliefs about illness, medications and treatments. Hence, it is important to understand how lay people make sense of medications in their daily lives. We conducted research with people in 55 households purposively-chosen from four cities across New Zealand. We were not interested in their adherence to medications, but we asked them to discuss their medication practices, to map where medications of all sorts were kept in their homes, and to produce and discuss all medications that were in their homes. A wide variety of medications of all sorts – prescription, over-the-counter, and alternative – were prevalent in all households, and distributed widely within the home. Their placement was organized, and important for use, with shared medicines stored centrally (kitchens and living rooms), personal medications located in more private spaces (bedrooms, bathrooms), and older medicines stored away (in cupboards and attics). This emplacement of medications reflected the familial relationships and practices of care within households. People understood and used medications very differently, from resistance to use through to various ways of complying with, amending, or extending their use, depending on the type of medication and illness involved. For example, some were particular about taking antibiotics: “I don’t like taking antibiotics… antibiotics should be saved for dire emergencies”. Others taking psychotropic medications reduced their use because of side effects and dependency: “I wanted to function as a functioning member of society … to get well I had to actually ditch the medication”. People using alternative medicines often resisted allopathic medications completely: “I’d rather either try and wait it out or, just any other alternative rather than taking drugs”. Others modified doses according to symptoms: “I was prescribed a higher dose but I just decided that I would try and keep it as low as possible”. These everyday medication practices were governed by people’s understandings of the value and place of medications in society. Medications could produce disorder, when fear and anxiety raised by drug marketing and media stories invoked the ‘unnatural’ and out of control, or they could produce order, when understood as providing ‘balance’, and restoring order and control. Medications also invoked morality, when regarded as ‘a necessary evil’ requiring personal vigilance in their consumption, or when their consumption implied a ‘morally failing’ ill person or a stigmatized failing body, creating identities that needed to be managed. Rather than view lay medication practices as misinformed or irrational, we argue that they have a logic of their own, informed by a ‘lay pharmacology’ where patient perspectives on medications are located within both their conditions for being given medications and their personal health narratives. This lay pharmacology capability influences and alters medication-taking practices within homes in ways such as those identified above, and provides a missing perspective in many approaches to understanding medication-taking. Medications in the home have social lives of their own. Health psychology practitioners should understand that medication-taking is a social practice and approach it as such, rather than viewing it solely from the biomedical perspective of adherence. Medication use can be better understood as located within situated practices, and especially within the temporal and spatial domestic practices that are embedded in daily home life. Health psychology practitioners seeking to intervene in medication-taking need to discuss and uncover these practices and provide advice that is related to the social and contextual dynamics influencing everyday medication use for patients. Health psychology practitioners should discuss medication use openly with patients and attempt to locate recommendations for use within the patient’s understandings of their illness, how they view and value medications, and how medication-taking practices can be incorporated into their everyday living. ⟵How to set goals that work?